Trace Adkins has been even busier than usual lately. On May 19, just five days after the release of his new CD, Love Will, the country artist was named the winner of NBC’s Celebrity Apprentice. T he last time Trace was on that show, he finished in second place. This time he took home top honors, and received $500,000 for his favorite charity. Trace was playing for the American Red Cross. Fans always enjoy seeing their favorite artists on television, and Trace’s fans are also going to enjoy this new album. There is a lot of variety in this collection of love songs. Nearly every song is slow, which you might expect on a CD full of romantic music. But while they are all slow, they are also all very different. “If the Sun Comes Up” and “Watch the World End,” are both songs about relationships that come to an end, but they are both entirely different songs. He is joined by pop singer Colbie Caillat for the song “Watch the World End.” While she is a pop singer, Trace’s deep, country vocals dominate the song. There’s no confusing this one with a song you might hear on a radio station that is devoted to pop music. I personally think “If the Sun Comes Up” is the best song this album has to offer. This one was included on the sound track of Act of Valor, a 2012 movie about a Navy Seal rescue mission. While they are all good songs, There are a few that are definitely not the best music I’ve ever heard coming from Trace. “The Altar of Your Love” seemed to go on a bit too long. It definitely sounds like a song Trace would record, but at the same time, it almost sounded as if he would rather not be singing that one. He wasn’t energetic or enthused about it. He was just singing. Trace seems to be trying a lot of different things with the music on this album. 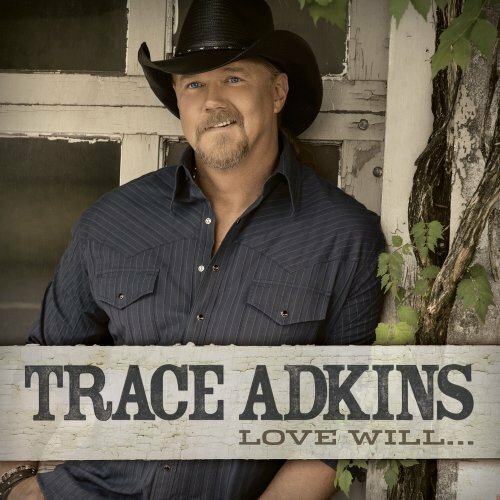 “So What If I Do” is a more soulful side of Trace. The song gives us some great saxophone solos – not something you find every day in country music. As for the album as a whole, I was glad it didn’t include any of the ridiculous songs Trace has done in the past. But, this is a collection of love songs, and there was no place on it for songs like Honkytonk Badonkadone, or Hillybilly Bone. Exile had a number one hit with “Kiss You All Over,” back in 1978. Trace included that song on this album, with the help of the band. Trace leads the song off with the opening line, before being joined by Exile. The song was good in 1978, and it is still good. I like the blend of voices with Trace and Exile performing together. “Say No To a Woman” is the only mid-tempo song o the CD. I melody that will probably remind you of a dozen other songs Trace has done. With a tempo somewhere near that of “Just Fishin’,” and lyrics almost half-spoken, half-sung, with the same kind of rhythm, the two songs sounded very much alike to me. But again, that’s typical Trace. It’s part of what makes his music all his. There probably aren’t any other artists who you would confuse with Trace Adkins. The eleven songs this new album offers are When I Stop Loving You, So What If I Do, come See Me, Right Now, Every One of You, The Altar of Your Love, Kiss You All Over, If the Sun Comes Up, Say No to a Woman, Watch the World End, and Trace’s current single, Love Will. To keep up with tour dates, new music, new videos and other news for Trace, visit his website at www.traceadkins.com. You can follow him on Twitter @traceadkins. For all the news about all of your favorite country artists, be sure to visit our website at www.countryschatter.com. You can also follow us on Twitter @countryschatter.